The cornerstone of our business is our vast experience designing and manufacturing corrugated cardboard packaging. But that is only part of the story. We supply a wide range of packaging solutions, working with you from creative thinking and design through to manufacturing and delivery. 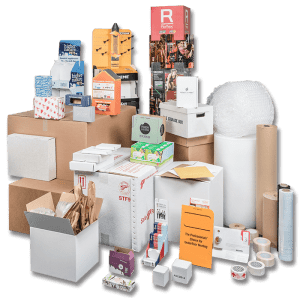 From cardboard boxes through to a wide-range of packaging materials, we keep in stock a wealth of solutions available for next day delivery. But if you want your product to stand out from your competition, our range of custom packaging can be personalised to give that extra branding experience. 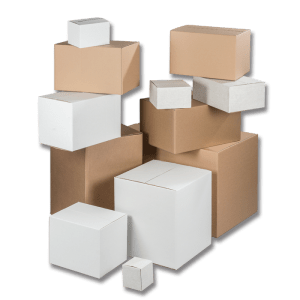 We work across all areas of packaging, from large multi-national businesses through to start ups, offering simple solutions through to the whole service package. Whatever the brief, our team of experts will guide you through the process to deliver the right solution, on budget and on time. From E-commerce, retail and fresh food through to FMCG and industrial, we work across a wide-range of industries, relishing every opportunity. Whatever needs packaging, we will create the right solution for you. Big, small, delicate, rugged, premium, budget – no matter what your product or budget, we can create a packaging solution that will not only keep it safe in transit but also make it look amazing. We make packaging – a lot of packaging! We are very proud of our state-of-the-art in-house facility in East Sussex, which allows us to respond efficiently to your needs, from conception through to delivery. On budget and on time – that is our promise. Whether you need something quickly or work to programmed drops, we work at your speed, always wanting to deliver an exceptional product as and when you need it. © 2019 Challenge Boxes & Packaging.